Kanepiõli ekstrakt – 8% CBD/CBDA. Mineraalide, vitamiinide, kannabinoidide, flavonoidide, terpeenide allikas. Kasutamine: kuni 2×5 tilka päevas. Armastusest loodud valgus, tervik, allikas, elu algus. 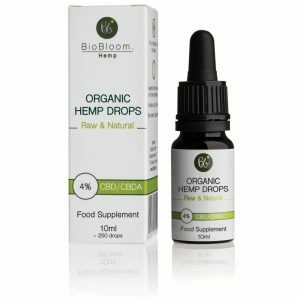 Cannabis CBD & CBDa RAW BIO Hemp Oil Drops By Bio Bloom – 4% – 6% – 8% CBD Content is a brand-new product release for June 2017 by Bio Bloom – an Austrian Company with a good product selection from CBD oil to CBD Tea’s. 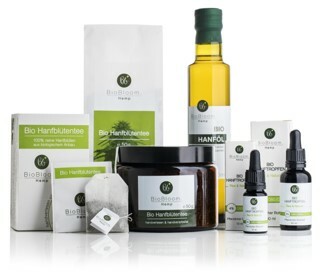 What sets this company apart from many other CBD or Cannabidiol producers and manufacturers is that Bio Bloom grow and maintain their own hemp crops on their land including a hand harvest on a 150 hectares of prime hemp plants which ultimately gives them great product control and the ability to innovate more within the industry. 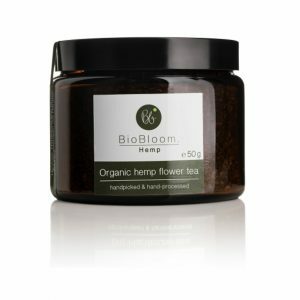 But what makes Bio Bloom Hemp Extracts so special, simply the dedication and traditional practices which are mostly unheard-of and don’t think this has not been recognized. Zero machine work goes into the growing and harvesting of the hemp and for this reason they have been awarded the Austrian & Hungarian Bio Certificate for controlled organic farms. From seedling to CBD oil the entire process is done in house and what’s more the hemp crops have been grown by the skilled Bio Bloom farmers for three generations on incredibly fertile land that was the bottom of a lake for 4000 years. To compliment their ethos the European Union has also given them a Bio certificate to confirm no Pesticides, Herbicides or GMO products in any way in the products or on their land. Once harvested the hemp crops are then processed by hand and then dried gently and evenly for up to 36 hours in a temperature of no more than 50 degrees Celsius. Once complete its extraction time using the very clean and gentle CO2 super critical extraction method that maintains and ensure the protection of the cannabinoids it contains including plant Terpenes, Canabidolic acid & flavonoids. 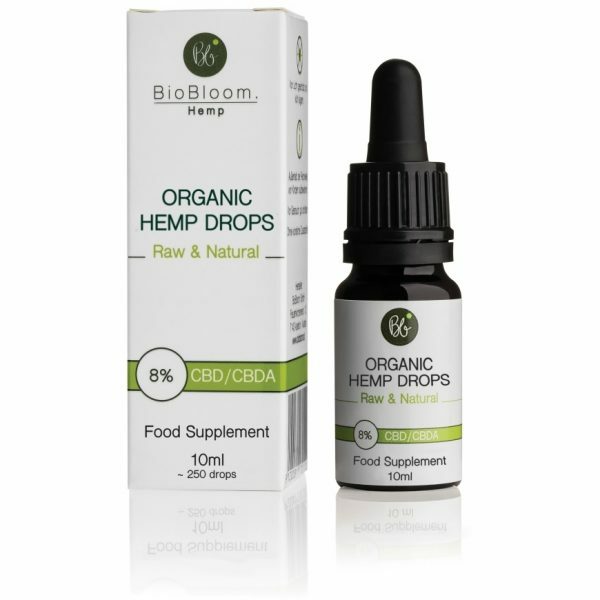 Bio Bloom believe’s that perfect hemp extract is one that is unrefined leaving in the whole plant full spectrum goodness which you CBD users have grown to understand is potentially very beneficial as a natural food supplement. 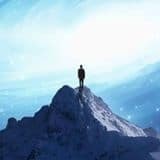 This is why Cannabin oils have a rich amount of both CBD (Cannabidiol) & CBDa (Canabidolic acid) to complete the entourage effect that many people want. All Cannabin products are not only tested in house they are also scrutinized under detailed tests in independent ISO certified laboratories and test results confirm the products are free from Heavy metals, Toxins, Fungi, Pesticides and other harmful pollutants. This is a sign of a true artisan manufacturer and you can expect much more from this producer in time to come. 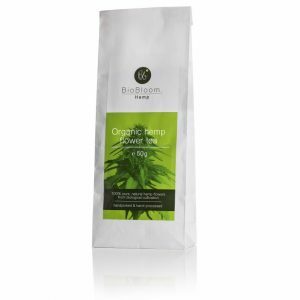 Bio Cannabin CBD Hemp oil was produced using the above methods and made in close conjunction with ARGE CANNA foundation and part of the proceeds from Cannabin is used for this (click link above for more info). This product comes in several strengths and two product sizes for your convenience. In opposition to other popular CBD products available on the market, our Bio Bloom hemp oils are not enhanced with synthetic CBD and do not contain any artificial additives. The plants they grow develop high cannabinoid concentrations due to the specifically designed cultivation method – this is true artisan cannabinoid production at its best. Store away from sunlight, heat and humidity. Shake before use. It is not recommended to use Cannabin CBD + CBDa Hemp Oil if you are pregnant or breastfeeding. This product is not intended to diagnose, treat, cure, or prevent any disease, and we make no claim as to its effects although feedback from customers rate CBD as having a very positive reception by users of all ages and even Pets. This is a non medical CBD product. Do not exceed the recommended daily dosage. Food supplements should not be used as a substitute for a varied diet and healthy lifestyle. This product is not intended to diagnose, treat, prevent or cure any disease. Keep out of reach of children. Häbiväärne ja ahistatud on vaid üks hinagmise viis. Teine viis on hinagata armastust, mis viib lõpmatusse. Aitäh, oled postituste ja uudiskirjadega ühinenud!